Well, I have finally reached my 44 book reading challenge goal in 2016. 34. Lady of Devices (Magnificent Devices #1) by Shelley Adina. Fiction/Fantasy/Steampunk/YA/Historical Fiction/Victorian England. 2 stars. 35. The Plantagenets: The Warrior Kings and Queens Who Made England by Dan Jones. Nonfiction/History/Medieval/England. 4 stars. 36. The Immortal Life of Henrietta Lacks by Rebecca Skloot. Nonfiction/History/Biography/Science/Medical. 4 stars. 37. Kindred by Octavia E. Butler. Fiction/Science Fiction/Historical Fiction. 4 stars. 38. Forbidden (Old West #1) by Beverley Jenkins. Fiction/Romance/Historical/Western. 3 stars. 39. The Winter Crown (Eleanor of Aquitaine #2) by Elizabeth Chadwick. Fiction/Historical Fiction/Fictional Biography/Medieval/England/France. 4 stars. Well, it's the last IWSG post of 2016 and what a year it has been. 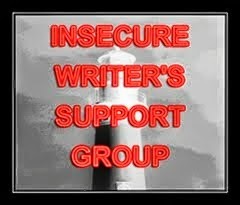 The IWSG posts every first Wednesday of the month. Check us out here. Our co-hosts for December are Jennifer Hawes,Jen Chandler,Nick Wilford,Juneta Key,JH Moncrieff,Diane Burton,andMJ Fifield! My one insecurity the past month has been: "Where is my writing mojo?" I can't seem to burrow into a project as deep and as much I'd like to. NaNo didn't work out (I came out of it with one complete short story and two beginnings, so it wasn't completely wasted), but yeah, other than short spurts, I'm having a hard time advancing. This happens sometimes, so I'll just work my holiday season and finish reading some books and see how I can get back into my Victorian draft as I plug along. The IWSG question this month is a big one: In terms of your writing career, where do you see yourself five years from now, and what’s your plan to get there? Sometimes a song will come out of a Broadway show and become a hit or a standard on its own--think of most of the songs in "The Sound of Music" or some of the songs from "Les Mis." But as far as I know, The Hamilton Mixtape, which came out yesterday, is the first "mixtape" of a Broadway show. As in, different artists have reinterpreted, recorded, in some cases have written songs inspired by the show and its music. When Lin-Manuel Miranda originally thought "ah-ha! I'll write a musical out of this book!" when he read Ron Chernow's biography on Alexander Hamilton, he wasn't thinking of writing a straight-up musical but writing and recording a concept album. Well, fast foward a few years and a megahit musical and Grammys, Pulitzers, Tonys, and various other awards and that "concept album" idea has spawned The Hamilton Mixtape, which was great company on my way to and from work yesterday.